Atlantis, the missing island that everybody knows is still an enigma but in The Dream VR we want to figure out all its hidden faces. Discover the most special sea-mystery that have become a myth and explore the sunken magic city. Experience an amazing travel through the ruins of Atlantis and feel the sea above you. 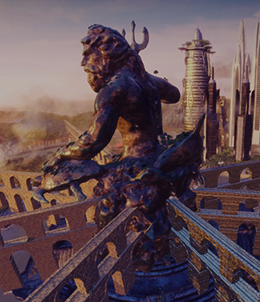 Live the experience of travelling to the city protected by Poseidon and enjoy the incredible landscape in VR and 360º.